a few years ago i came across a book of photographs called americana by kristin capp. i was mesmerized by the simple beauty of the subject matter reflected formally and admiringly in kristin's images. when i stopped into a local bookstore this weekend, spoonbill & sugartown, i chanced upon her earlier book hutterite in which kristin explores a secluded community of anabaptists in the northwest region of the united states. i have an ongoing fascination with religious groups such as the hutterites. more specifically, i am intrigued by the idea that ritual can be a powerful mechanism in confronting life's milestones. i've been lucky to have had the opportunity to photograph three hasidic weddings that i found to be amazing displays of such rituals, but those experiences were at most mere glimpses into the secrets of that community. kristin delves much deeper. these are simple photographs in both theme and execution, that is, simple in the best understanding of the word. kristin enters a community clear of the clutter of the modern world and focuses her camera on the most basic human themes of family and faith. most striking to me is how these photographs very much concern the strength of women and the roles women play in the home. women are not afforded equal status with men in the hutterite community, yet the women in her photographs exert a strength and confidence that implies equality can be achieved through alternate paths. 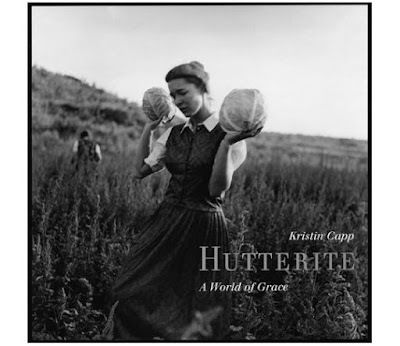 despite having published two books, kristin capp is not a widely known photographer. 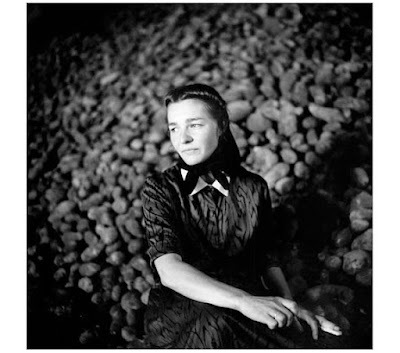 but, for me, both in mood and theme, kristin's images go directly to the root of why photography inspires me. her photographs are a pleasure that i return to again and again. Looks really interesting! Will have to check it out. hey Capp is my teacher. I'll tell her about your kind words.